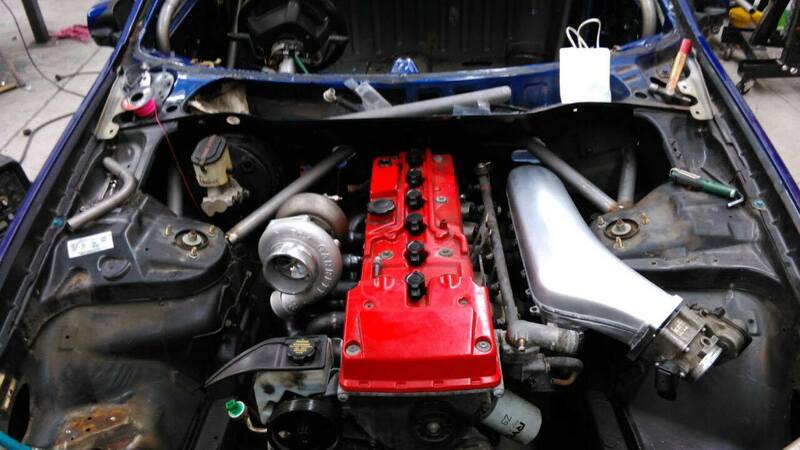 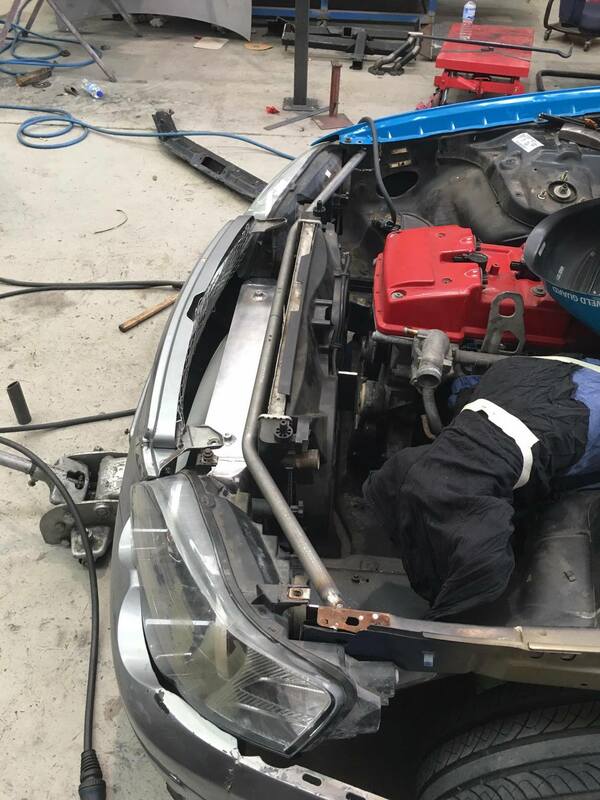 It`s been a very busy couple of weeks in the workshop with a huge amount of work being done on not only the front end, but the engine bay was starting to get some love as well. 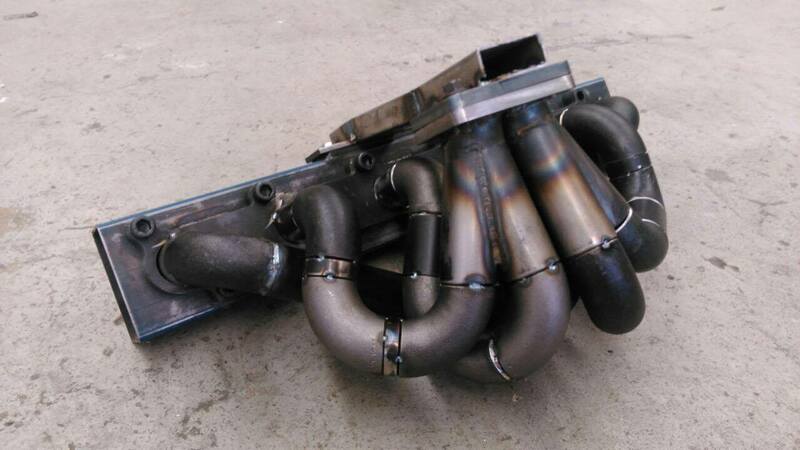 This came in the form of some go fast bits for the hot and cold side of the engine. 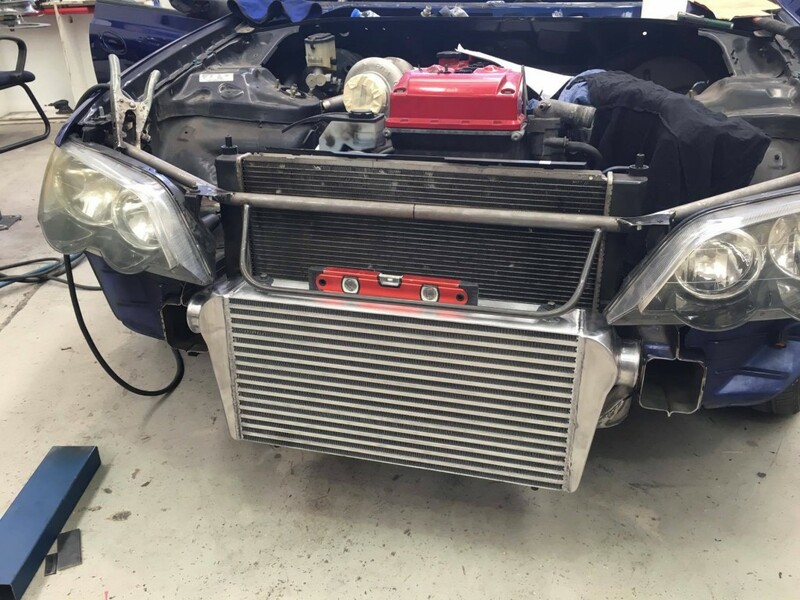 We had a few different ideas on mounting the intercooler but, because we were looking for maximum response, we knew that shorter intercooler piping would help reduce lag from the GTW turbo resulting in more power, sooner. 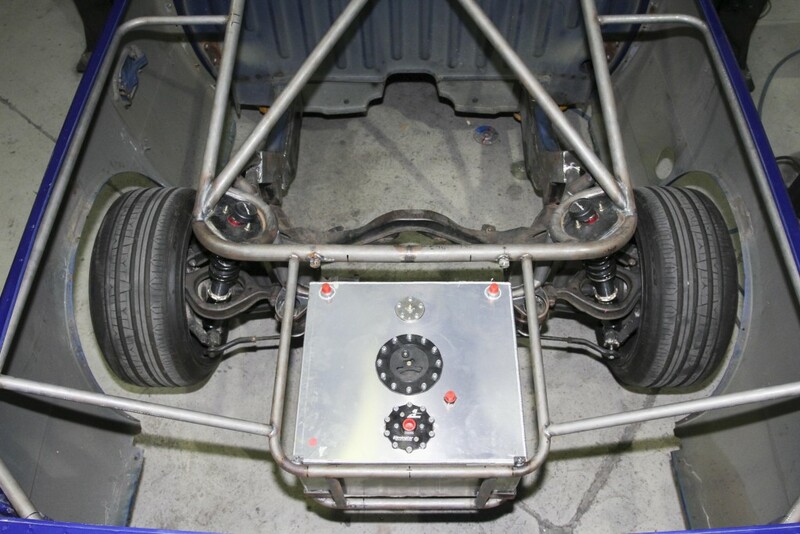 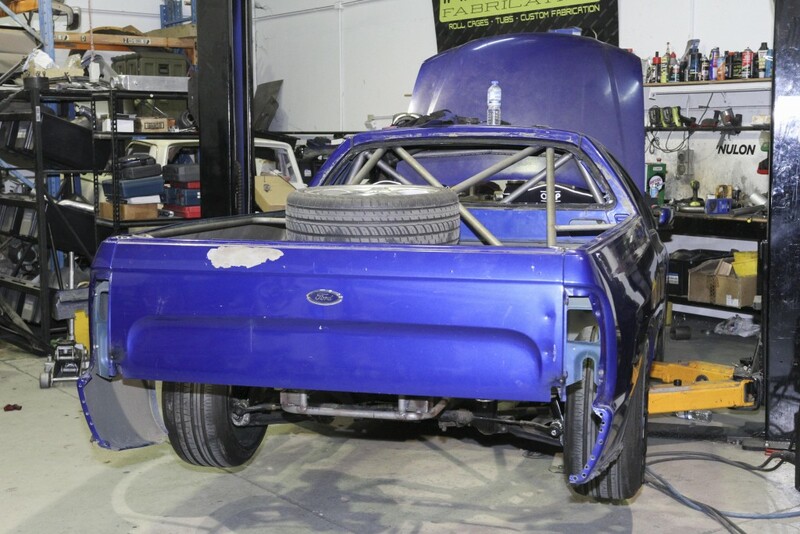 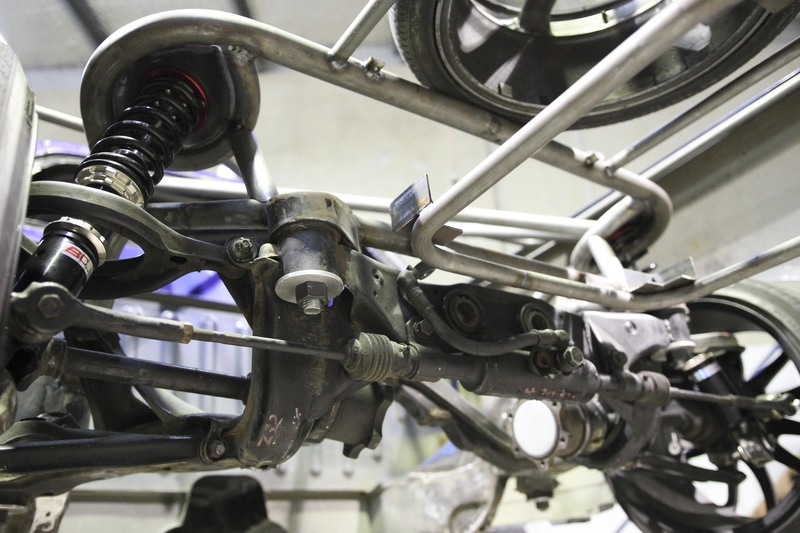 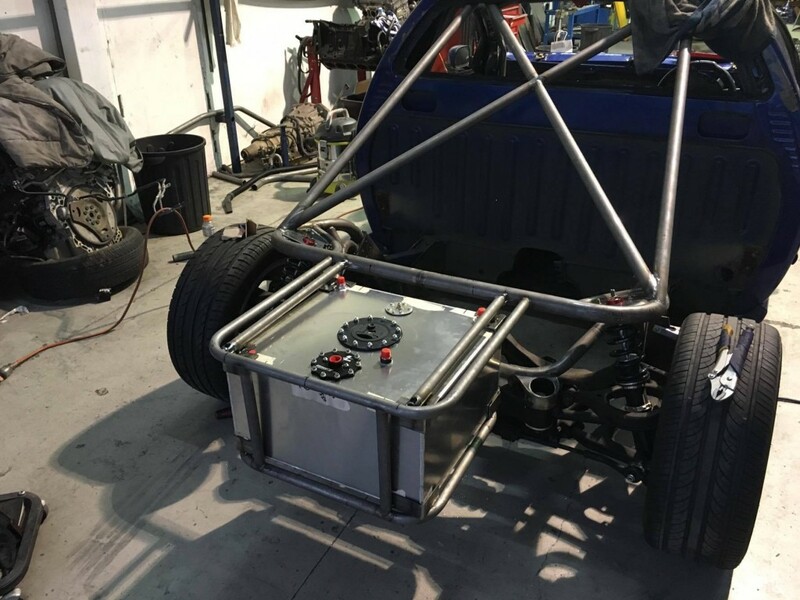 This rear end is really starting to take shape, linking the fuel cell and the rear suspension pickups into the roll cage is going to generate rigidity in the rear end. 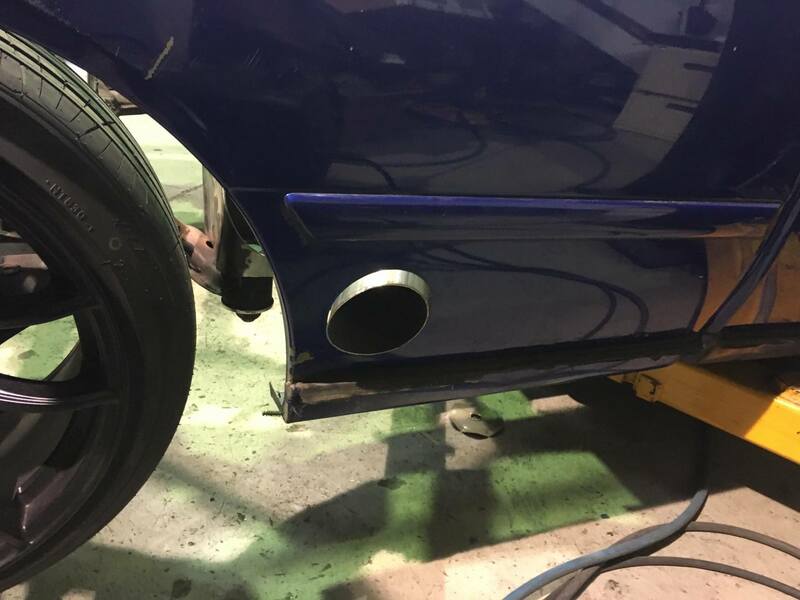 The next step is to get some bars mounted for the rear tub, Compared to the first and second steps, this should be alot easier. 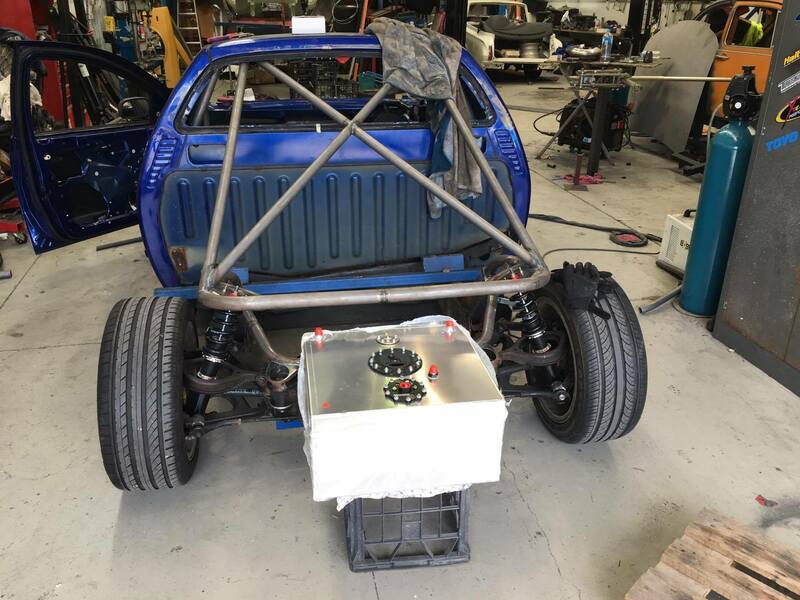 The skills of Grub and Porter made this next step look alot easier than it was, getting this rear tub section in close to factory position is important as we have big plans for the aero and rear hard lid which will play a big part in the handling of the ute. She is starting to look like a ute again, this rear tub is now removed with some 10mm bolts in one section. 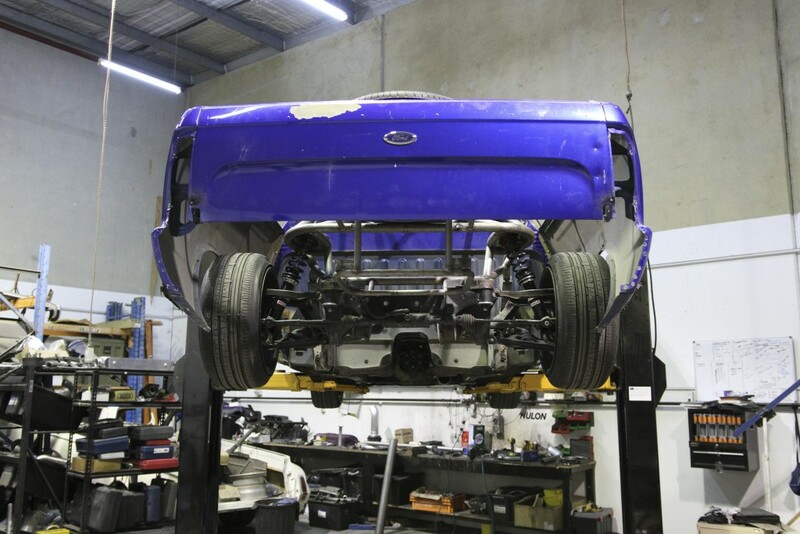 Think of it as a rear clip Australian style. 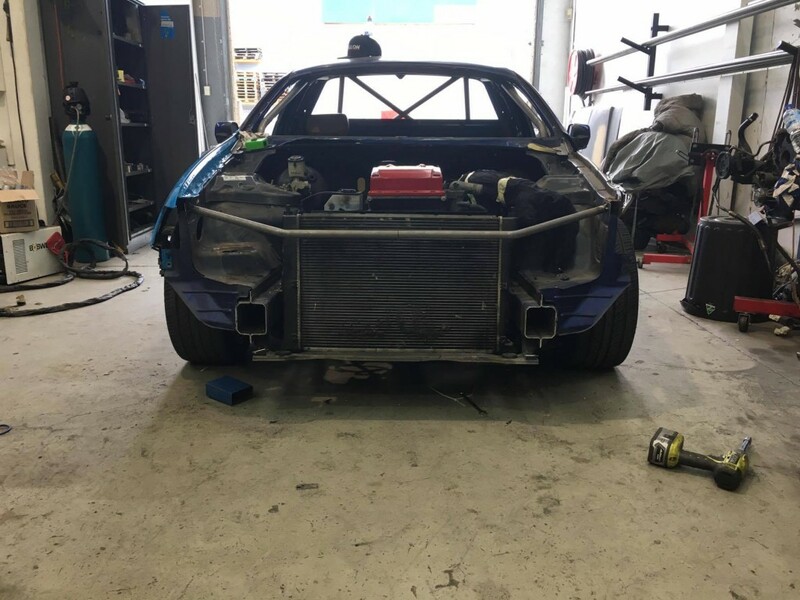 Looking at it from underneath, you can see there is a fair amount of blank space that needs some work, the next step will be to sheet this off and get JSAI Aero to come and start designing a rear diffuser. 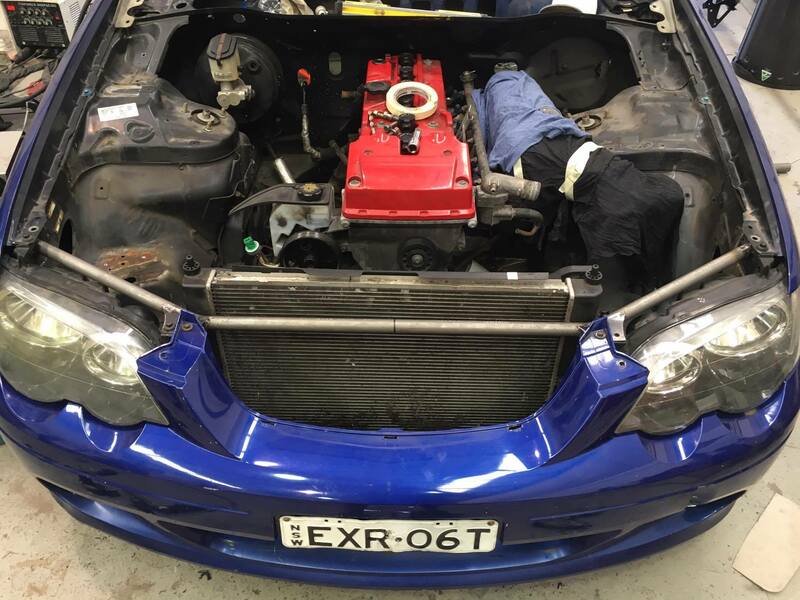 before this can happen we need to get an exhaust sorted, and before we can start that, we need to mount the turbo. 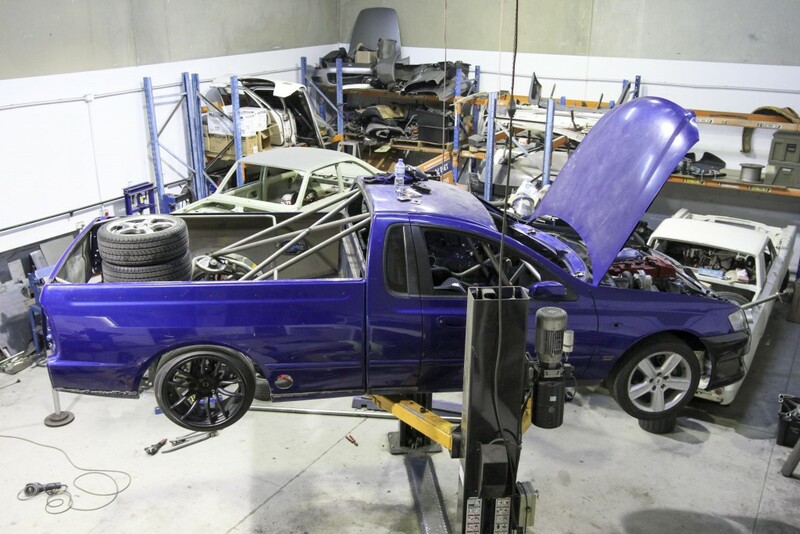 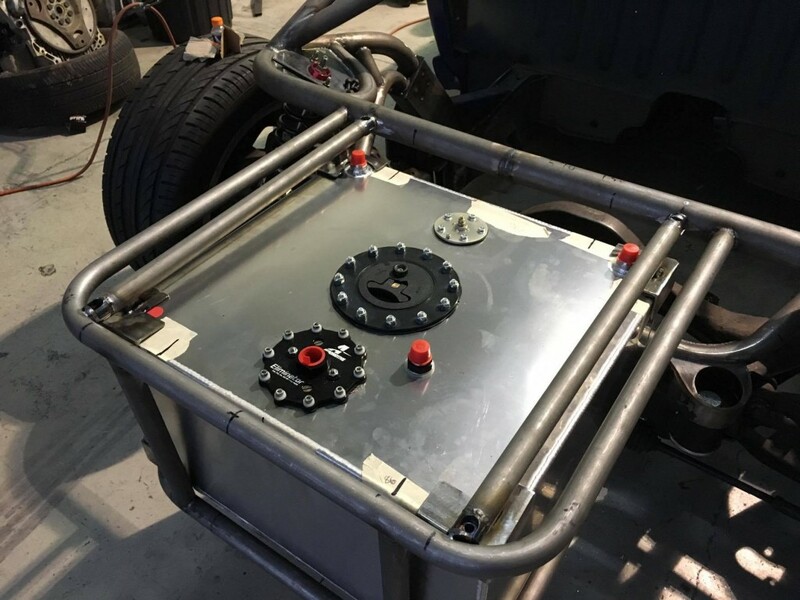 Coming up fast, one Grubbo special in the form of an Impossible Fabrication custom manifold, This sweet piece of gear will flow 1000hp without too many dramas, so should be more than enough for this crazy ute. 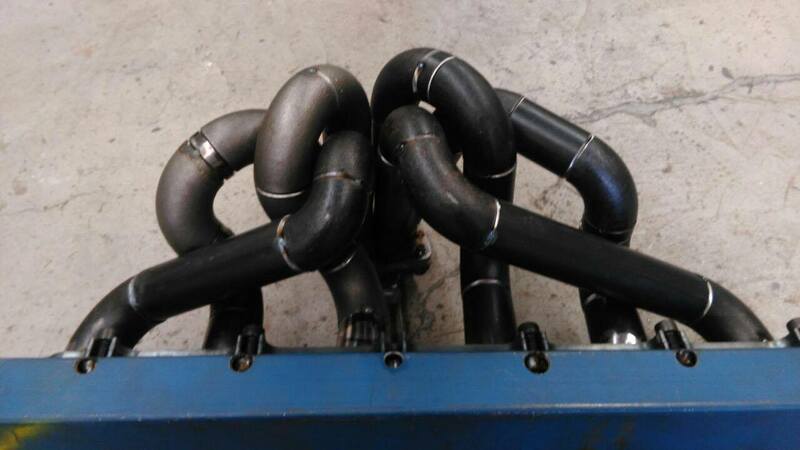 Although it takes about 3 days to produce one of these manifolds, and more than 6 different swear words (try and list them all) the finished product is always something special. 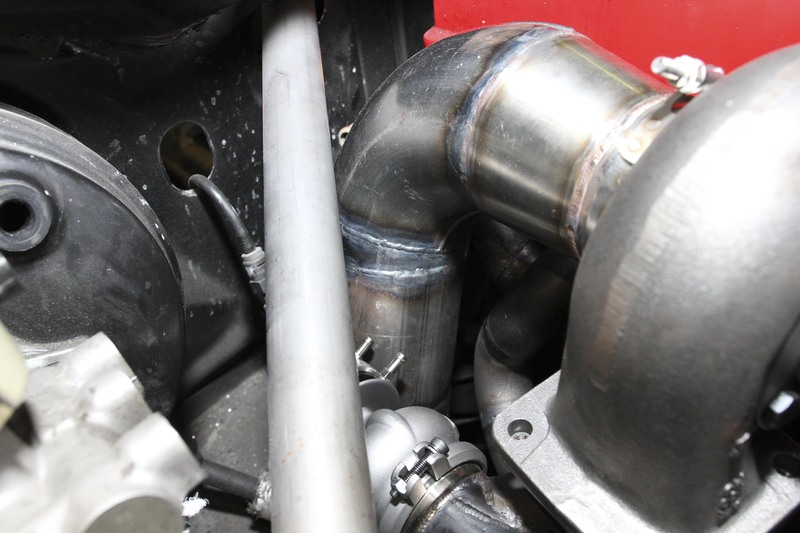 Porters ute manifold is no different, the fitment is perfect and the position of the turbo is spot on. Next up it is the dump pipe, Trying to keep it as large as possible but with limited space, They used a step out from 3 to 4 inch and shot it out the bottom of the engine bay. 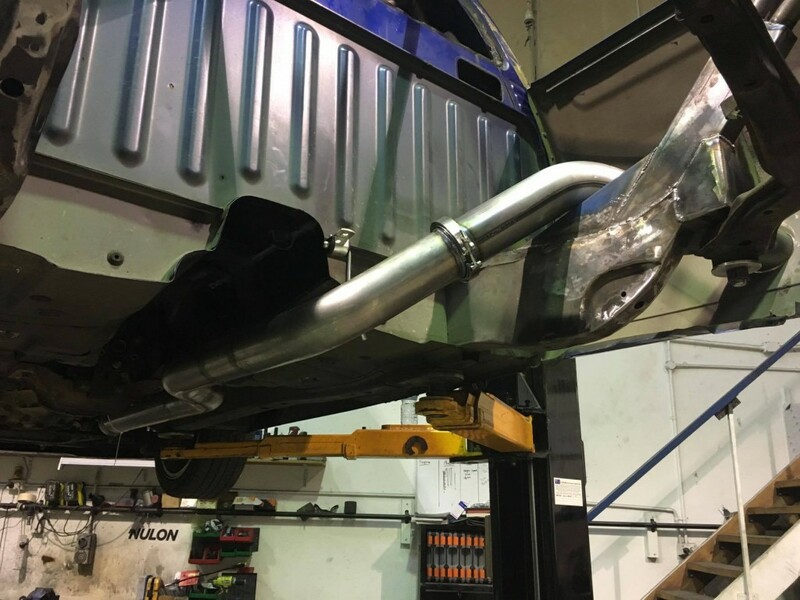 Built is 3 sections, and tucked it out above the rear chassis rails, this exhaust has just become our favourite part of this build, it takes less than 10 mins to remove, has no mufflers, no cats and very few bends. 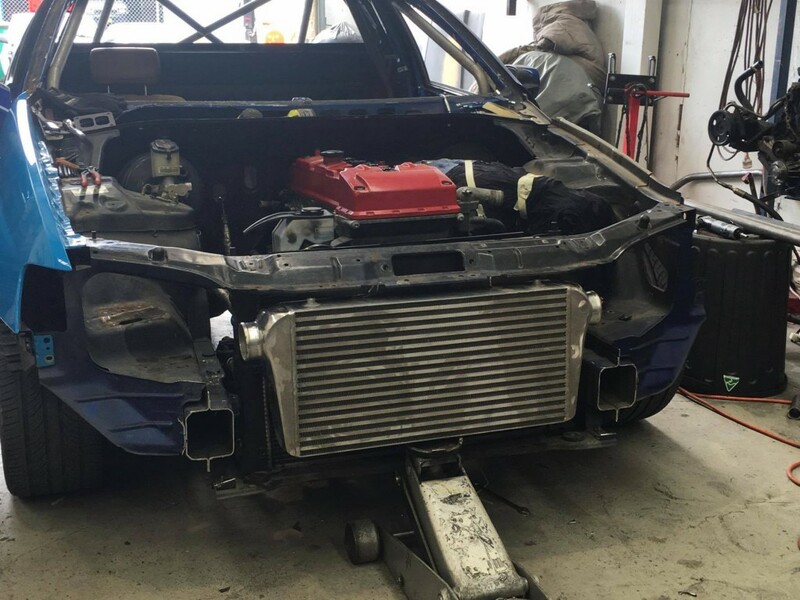 Cant wait to see what this beast is going to sound like. 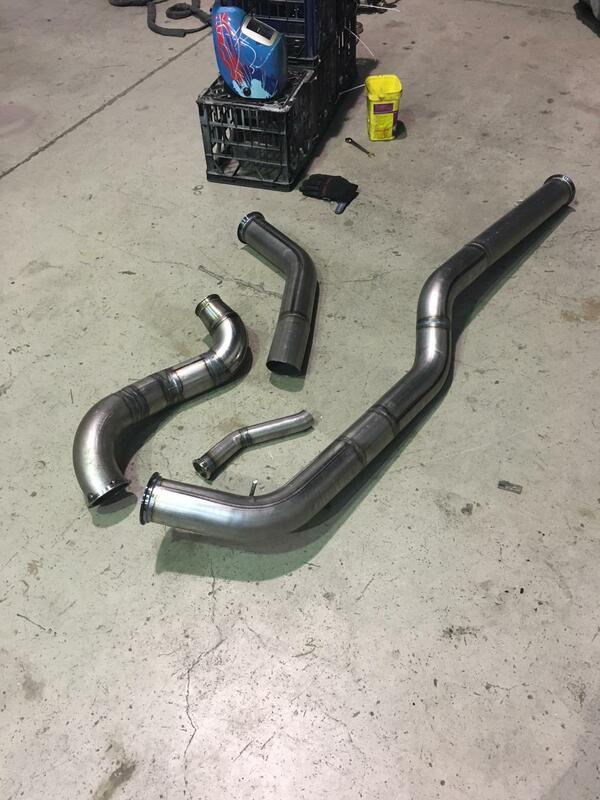 This just shows you how simple this exhaust system is, but wait there is more, check out where the tip comes out.